We put together an article recently with Zoe’s predictions for the web in 2018, one of her predictions was the ‘Mobile First’ design and development option. So what is the ‘mobile first’ option? Our ‘mobile first’ option is a mixture of a mobile website and a responsive website, there is more information about these below. Lots of people are using their mobile to browse the internet because many are running their business, researching and socialising on them. This has been increasing year by year. So we start each project by checking the analytics to see how many people are visiting and on what device. We analyse how many of these people are converting into a lead and create a list of changes to improve the conversion rates. We also check to see how long people are visiting and where they’re dropping out and not converting to a lead. Why do we take a ‘mobile first’ approach? To increase conversions – When starting a new website, or recreating a current one, an aim is always to increase conversions. Analysing the data first gives us insights at to why people are converting. To produce quality content – When writing new content, or adjusting current content, the focus is quality over quantity for mobile. The aim is to get straight to the point and a call to action. Search Engine visibility – Search engines, like google, will discriminate a website if it’s broken or slow on a mobile. If google doesn’t like a mobile website they may even hide it from search listings for mobile users. Easy peasy – If it’s easy to navigate on mobile then it should be just as easy, if not easier, to navigate on the desktop. Seamless – Visiting the website on mobile and desktop is so similar that when someone views on different devices they should still be able to navigate to areas of interest. The mobile website option shows a different experience to mobile users than desktop users. A separate mobile and desktop design would be created. The mobile based on how past mobile users have converted. The desktop based on how past desktop users have converted. This can be a costly approach. It can also be quite time consuming to make adjustments in two places for what could be a simple text change or image change. One website which stretches or shrinks to fit on all devices. The content adapts. For example, large elements like the menu are minimised into a smaller option called a ‘burger’ menu. 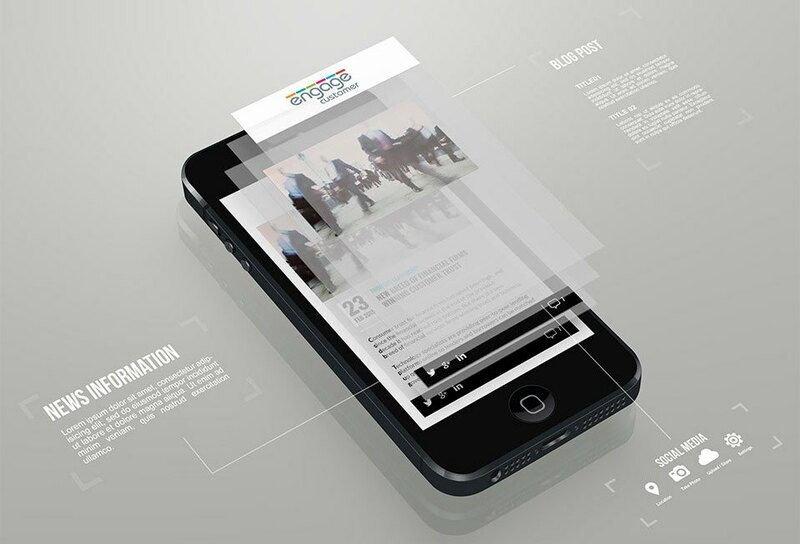 To create a responsive website the design is based on winning elements from the past desktop and mobile users together. A mobile first website along with continuous improvements is a powerful tool all companies should have. Keep a close eye on your analytics and make small improvements based on how your users are reacting. If you make note of changes you made, unlike print design, you can revert them to the previous version! To start making improvements to your website the first place to start is your google analytics account log in and have a look Audience > Mobile > Overview to see what devices people are using. What do you think about the mobile first approach?